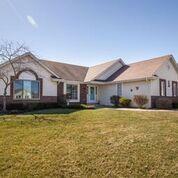 Meticulously maintained 3 bedroom, 2 bath ranch in sought after Two Rivers Subdivision and Mukwonago School District. Open concept. Vaulted ceilings with gas fireplace in living room. New flooring, light fixtures, ceiling fans, and paint throughout. Updated bathrooms with Kohler fixtures. Eat-in kitchen updated to include new Samsung, black stainless appliances, Kraftmaid cabinets with slide-outs and soft close doors/drawers and Quartz counter tops. All new triple pane windows and patio door. Mechanicals and shed new in 2018. Full basement is ready for your finishing ideas. 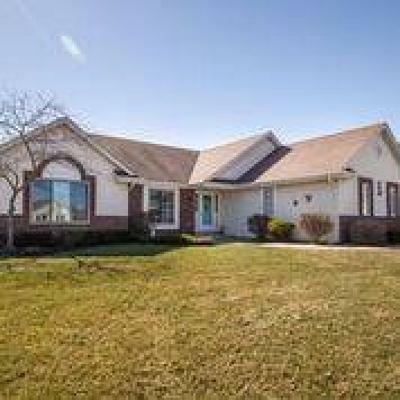 Close to I-43, shopping, walking trails, parks, and canoe launch.